This past weekend we went to Roatan with Lauren and a whole bunch of people. It gave us a chance to play and try out Caitlin’s new underwater housing. This is the first picture of many to be uploaded to the blog and more will come once we are at school with faster internet. This however is my favorite picture that I took. 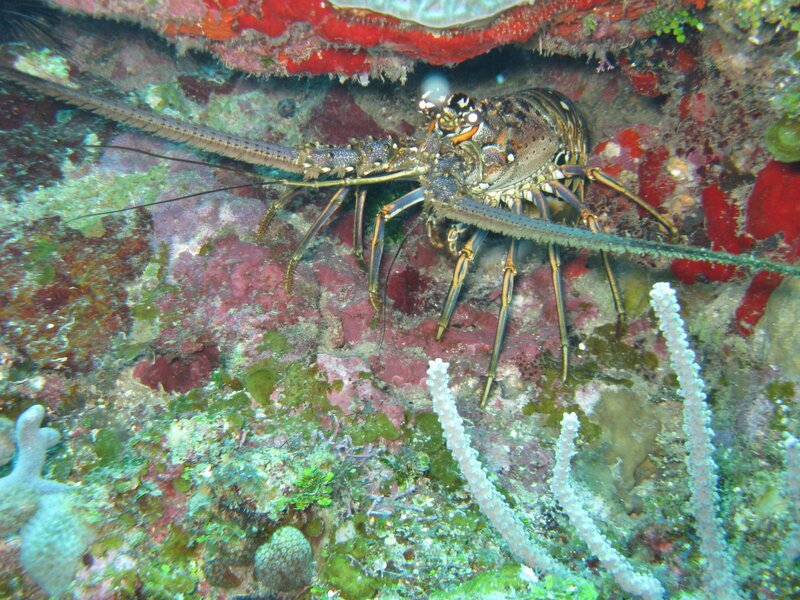 It is a lobster that was hiding underneath a ledge in his comfortable home. I was able to get pretty close so the picture turned out well. Stay posted. 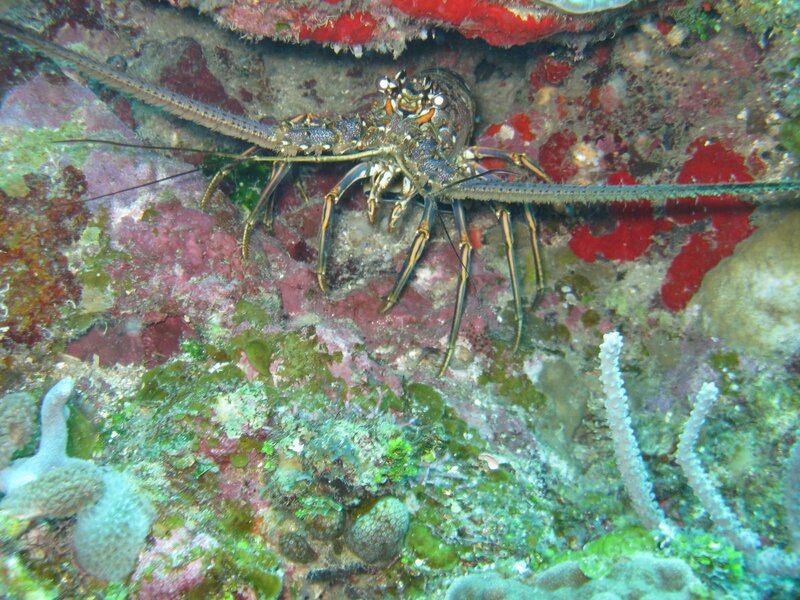 Posted in Diving, Honduras, Playas, TripsBookmark the permalink.